My last visit to the patch this year and I've finally caught up with the Firecrest in Long Wood, which brings me up to a respectable 104 for the year, my best yearly total in five years of watching the site at Wanstead with any earnest. In a fragmented and at times difficult year in which I changed jobs, lived through a 6 month house extension, whilst continuing to see my dad cruelly detetariate at the hands of Alzheimer's, I still found time to fit a bit of birding in along the way and thankfully there were a few highlights to lift the spirits, this included six new birds for me at Wanstead. The long staying Slavonian Grebe on Heronry in Wanstead Park was great start to the year (January 2nd) and attracted many admirers during its stay, before disappearing after a cold snap when the lake froze over. I then had to wait until March 21st to finally add Woodcock to the list having thought another Winter had slipped by without seeing one. A spring Red-legged Partridge wasn't on the radar when a bird was discovered running across the Flats in mid April, much to the amusement and delight of all the birding locals who weren't around when the last bird was seen back in the 70's. And then possibly my own personal birding highlight of the year was the discovery of a singing Wood Warbler amongst the young Birch trees in the SSSI, the bird sang and performed well all morning in the rain and even stuck around the following day to allow a few more birders to catch up with this locally rare Phylloscopus Warbler. I had to wait until the autumn to add two former Herring Gull species to the list, the first from the southern end of Europe a juvenile Yellow-legged Gull and then a second from further east a 1st-winter Caspian Gull. 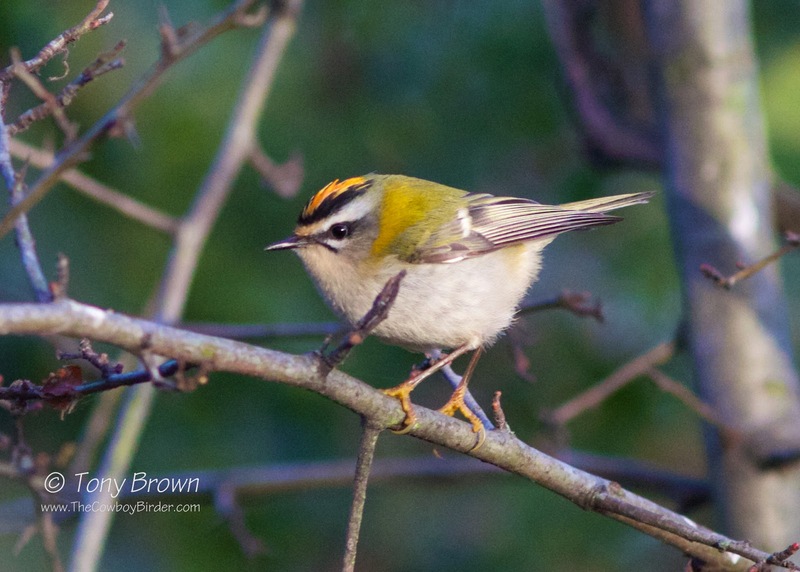 I can't grumble with adding six new birds to the patch list in 2015, so what does 2016 hold? More of the same I imagine, with twitching having less and less of an appeal, staying local and finding something a little bit out of the ordinary is my thing and still gives me an enormous buzz - all I need to do now is find that patch defining bird - a male Eastern Subalpine Warbler would do!